An M. Night Shyamalan movie isn’t a proper M. Night Shyamalan movie without some kind of twist ending. Thankfully, his latest film Glass fits the bill and then some. In fact, Shyamalan may even out Shyamalan himself with a fascinating turn of events that we think is worth a much broader discussion. So, let’s do that, shall we? Kevin’s father was killed during the crash of Eastrail 177, the same train wreck David survived in Unbreakable. That means Mr. Glass not only killed Kevin’s father but, by forcing his absence, inadvertently helped create The Beast. Dr. Staple is part of a secret society who job is to rid the world of people with superpowers and her working with David, Mr. Glass, and Kevin was her attempt at humanely getting them to stop believing they were superheroes. It failed and they were all killed. 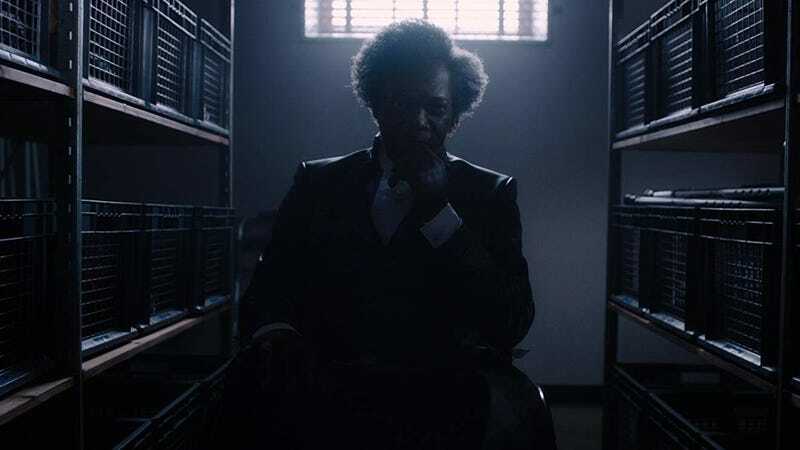 Mr. Glass somehow anticipated something like that happening and covertly allowed footage of the events at the hospital to be leaked to the internet, alerting everyone in the world that superheroes are, indeed, real. The first one isn’t so much a “twist” as an inevitability. In Split, there’s the strong implication that Kevin’s father left on a train when we see Kevin placing flowers on a train platform. 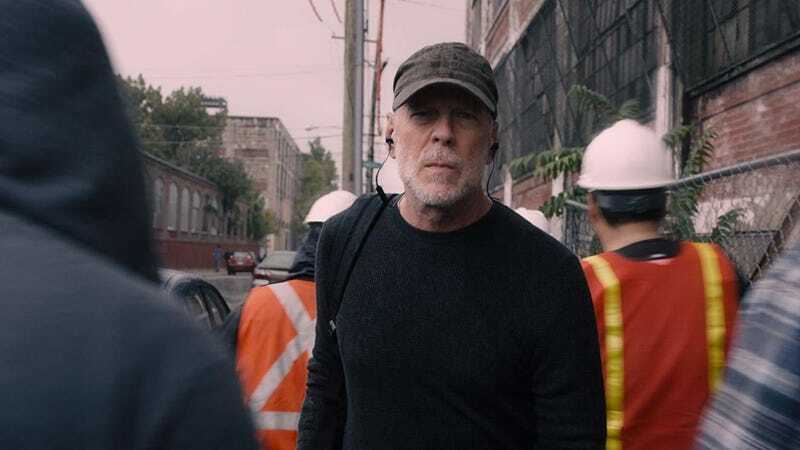 In Glass, we learn that’s exactly what happened and see two over the top reactions when Joseph (David’s son) and Mr. Glass find out that same, incredibly easy to access information. Mr. Glass started all of this, creating/revealing two superhuman beings with one faulty train. The fact that this revelation is so telegraphed isn’t the biggest issue here. It’s the fact that, somehow, no one knew Kevin’s dad was on this now famous train wreck. In Unbreakable, we saw the huge amount of press coverage the event got as well as the large memorial service. Certainly, the list of victims was easily accessible. Is it really plausible that Kevin didn’t know how his father died? Maybe he suppressed it? That’s possible, but in all the years since, were none of his personalities ever curious to find out where daddy went? It seems unbelievable. Even so, once it’s revealed, the impact of the revelation that Mr. Glass created both The Beast and David lasts all of 15 seconds before The Beast basically kills Glass. We aren’t given any time to simmer with this news. Then there’s the second twist which, on the surface, is pretty excellent. It’s the reveal of what we’ll simply call The Shamrock Society (there isn’t an official name yet). As Dr. Staple explains, comics regularly talk of secret societies built to kill superheroes, however, in the real world those societies kill heroes and villains in order to keep balance. It’s not fair that there are Gods, she says, in a speech that changes the world of Unbreakable in massive ways. This has happened before. Other heroes exist in the world. A lot of them. Over thousands of years. And when one powerful person appears, another always follows. All of this lets us know that the events of this trilogy are just a small sliver of a bigger universe, which is exciting as hell. Dr. Staple, you have some secrets. Unfortunately, that potential is squandered fairly quickly. For starters, after two viewings of Glass, I could not find a single indication of the Shamrock Society existing in the film before the first person shoots Kevin, revealing the wrist tattoo they all have. Without earlier seeding, the whole thing ends up feeling like a tacked on afterthought. Then, when David touches Dr. Staple’s hand to get the big flashback reveal, it’s just people in a restaurant. Nothing is said or shown that’s particularly evil. 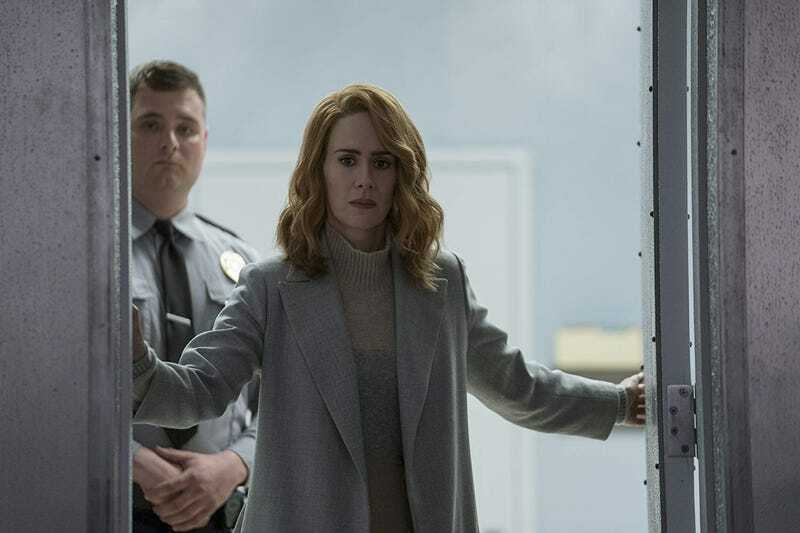 We don’t understand what it all means except that she has a secret, which apparently has to do with a bunch of people shutting up simultaneously. Once Glass, Kevin, and David are all dead there’s a second restaurant scene. (Don’t these people have their own place to gather? Why do they need to do it in public every time?). Dr. Staple reveals why she was doing what she did, how she thinks it turned out, and that she’s ready to do it again. However, just as we’re about to chew on that information, the whole thing gets undercut by the third and final twist. We find out the entire escape from the hospital was a suicide mission, organised by Mr. Glass, so that the world would find out superheroes exist. “This isn’t a limited edition,” Glass says. “It was an origin story the whole time.” It’s his belief that if people can see David and The Beast fighting they’ll believe not just in superheroes, but in themselves. Again, on the surface, this idea is big, bold and exciting. It just so happens that, once again, the execution is lacking. And by the way, where did he get that “M.G.” pin? This reveal comes so quickly after finding out that the Shamrock Society exists, undercutting so much of the impact and potential that society may have had. Not even just for potential sequels, but also the audience’s general perception of how powerful they are. The first mission we see them on is instantly a failure. And, possibly, it was a failure without the person who thwarted them knowing they existed at all. The movie is unclear if Glass was specifically targeting this secret society or the doctors in general. He just realised someone would suppress the footage and he wanted it out. Basically, the group was a ghost defeated by a person who didn’t even see them. Real intimidating and effective. You also have to remember it’s 2019. We see wild viral videos every single day, many of them faked because digital effects and editing software is so accessible, everyone has a portable movie studio in their pocket. Knowing that, in what world would anyone actually believe these security tapes randomly uploaded to the internet? When was the last time you saw something online that you believed and, as a result, it changed your life? Probably never. But that’s the ambition of Mr. Glass. It’s admirable but he’s been in a mental institution for 15 years and doesn’t get how society works. No one should believe these videos. But of course, the movie shows us they do. We see the videos having an impact as Joseph, Casey, and Mrs. Price sit in the train station. It’s even covered on the news. Really? Don’t you think these videos would immediately be deemed fake, either by everyday people or covert members of the Shamrock Society and forgotten by the next morning? 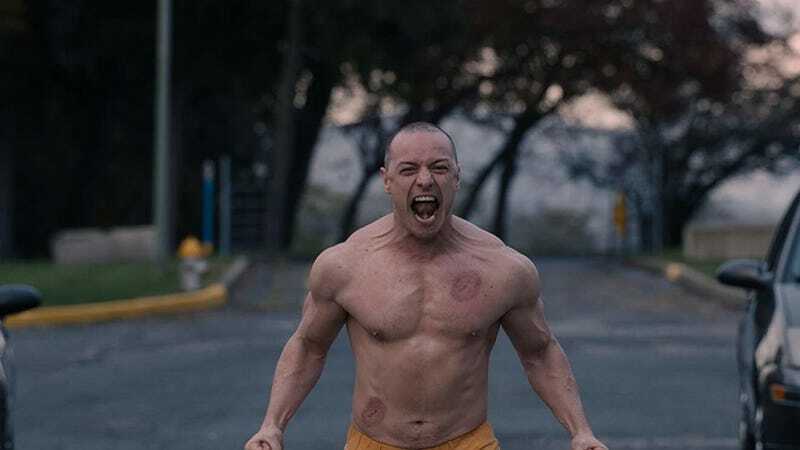 Maybe that’s where Shyamalan is planning on going if the story continues but, in Glass, he doesn’t quite make his intentions feel as grounded and believable as he wants. When you’re the hero but not part of the climax. On top of all of this, who haven’t we mentioned a lot in terms of relevance to the ending? David Dunn. You know, the hero of the story. No, he’s not the “star” of Glass, but he is supposed to be the person we cheer for. Instead of that happening though, he’s drowned in a puddle by two characters we never see and is largely absent from any of the important things that happen at the end of the film. Besides throwing The Beast around a bit, he may as well not have even been there. Hypothetically, would it be cool to see where the story goes next? A world that was awoken because of the footage Mr. Glass leaked? To see that contagious belief in one’s self spread across the world, revealing all kinds of new superheroes and villains? Sure. But, with Glass, those ideas feels forced onto the conclusion instead of a cohesive, organic part of the story. Instead, they feel like last minute add-ons so the audience gets the Shyamalan twist they are expecting. But while twists they are, we don’t think they land. Maybe you disagree. Tell us in the comments.